A group of indigenous Sami in Sweden have won a landmark battle for their land rights in case which saw the Swedish state accused of racism. “It is a symbolic step towards getting Sami rights acknowledged, and we hope that this verdict can shape policies towards Sami issues in Sweden, that was the main goal,” said Åsa Larsson Blind, vice-president of the Sami Council, which represents Sami people in Sweden, Norway, Finland and Russia. 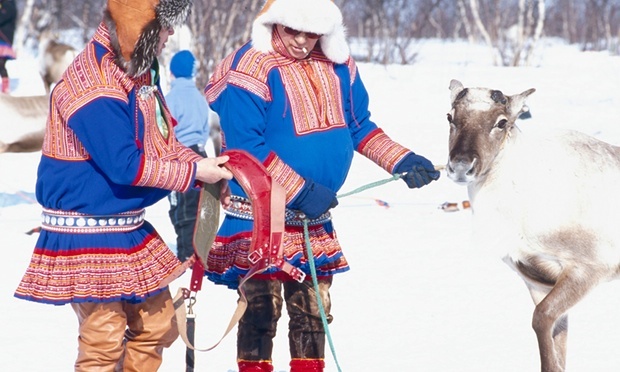 The Swedish Sami Association had petitioned the European commission and court of human rights to have the case brought in Sweden. In an open letter, 59 academic researchers, including ethnographers and anthropologists at the Sami Research Centre at Umeå University, condemned the lawyers for using the “rhetoric of race biology” and revealing “a surprising ignorance of historical conditions”. Larsson Blind said she was relieved that the court had seen through the “colonial speech” of state representatives. “By getting this verdict, many Sami individuals will feel strengthened after hearing the harsh wording used in the court,” she said. Although the case concerned only a small geographical area, it came out of a far more general frustration that Sami issues were getting nowhere in the political arena, where they were debated endlessly but no decisions were taken, Larsson Blind said. So while Sweden enjoys a reputation for open-mindedness towards diversity abroad, its only indigenous people say they face discrimination.